A huge swath of American households don't have have retirement accounts, such as a 401(k)s or IRAs. With the stock market up, the housing market largely recovered, and unemployment down, you’d think Americans would be in better shape to retire than they were in 2007. The opposite is true, according to a study released today by the National Institute on Retirement Security. 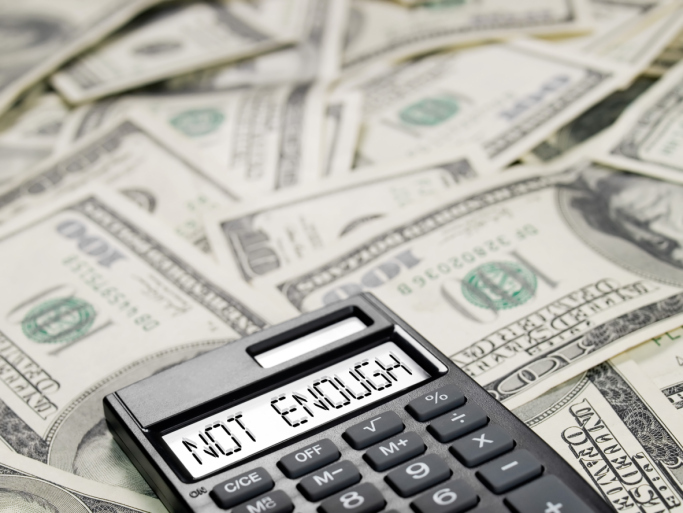 While the value of 401(k) retirement savings accounts and IRAs hit a record high of $11.3 trillion at the end of 2013, the average American household isn’t sharing in that wealth. Half of households haven’t saved anything. While those of us lucky enough to have workplace retirement plans have benefited from the long bull market, a huge swath of America doesn’t have retirement accounts such as 401(k)s or IRAs. Nearly 40 million working-age households don’t have any retirement accounts, the report says. Whether someone has an account is closely tied to his or her income and wealth. Households with accounts have annual income that’s 2.4 times higher than those that don’t. The median retirement account balance for all households is $2,500.Even saver households haven’t saved enough. For savers closest to retirement (from age 55 to 64), those with retirement accounts had a median balance of $100,000 in 2010. That’s up to $104,000 today. Households that don’t have retirement-specific accounts, though, are doing far worse in overall savings: They have about $14,500 today, up from $12,000. How bad is it? Fidelity Investments recommends that by age 55, a worker needs to have saved five times his current income to be on track for retirement. Others estimate far more, but even by that conservative standard, most people are falling short. Lest we all now crawl under a rock, the authors highlight reforms that could brighten the retirementoutlook. (Not included in the report: the political feasibility of any of the reforms.) One basic suggestion is to strengthen Social Security, since it and Supplemental Security Income make up more than 90 percent of income for the bottom 25 percent of retirees, according to the report. That number falls to a still-hefty 70 percent for the middle 50 percent. Ways to do that include increasing benefits for low-wage workers, getting rid of the payroll tax cap, and adjusting the benefit formula so it keeps pace with the living costs faced by seniors. The authors also note that making it easier for private employers to offer defined benefit pensions, as part of a national and state push to ensure that everyone has a retirement plan, would help. The trend toward automatically enrolling employees in 401(k)s has helped broaden the universe of workers who are saving for retirement, but few small employers offer such plans, and that’s where you find many low-wage workers. Finally, with real wages stagnant for low-income workers, government could help such workers save by expanding the Saver’s Credit and making it refundable. With the Saver’s Credit, income tax liability on the first $2,000 in contributions to a qualified retirement account is reduced 10 percent to 50 percent.